Alcatel OneTouch Idol X+ is a nice Android phone launched in February 2013, having an extremely powerful 2000 megahertz Octa-Core processor, a quite big 5 inches touch-screen, a 13.1 megapixels back facing camera and a 2 MP front side camera. But let's get into some more detail. Whereas the Alcatel OneTouch Idol X+ is only 5.53" long and 2.72 inches wide, it still manages to contain a 5" screen. This cellphone is incredibly slim and comfortable, being just 0.32 inches thick. 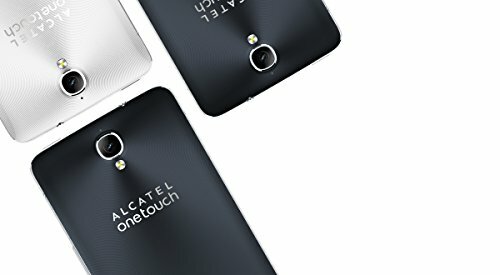 Alcatel made this cellphoneavailable just in two different colors: black and white. 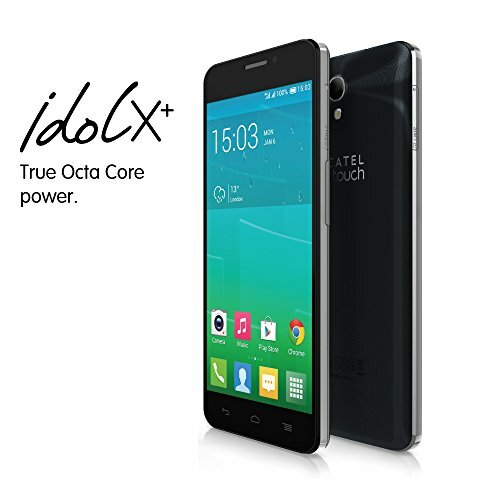 The Alcatel OneTouch Idol X+ is much lighter than what you would expect from a phone like this. The Alcatel OneTouch Idol X+ is equipped with a spectacular 1920 x 1080 (Full HD) 5-inches display, making everything look completely perfect. Its display uses IPS LCD capacitive technology, and can detect multi touch gestures. The Alcatel OneTouch Idol X+ is powered by a high performance Octa-Core CPU ticking at 2000 megahertz, included in the MediaTek MT6592 system chip and a large 2 GB RAM memory. To handle graphic rendering, the Alcatel OneTouch Idol X+ also counts with a 700 MHz ARM Mali-450 MP4 GPU. A great point of this phone is its astonishing 32 GB internal storage and while it doesn't include an SD extension slot, it it is more than enough to store lots of applications, games, songs, pictures and videos without having to worry about how much memory is left. This cellphone includes WiFi connectivity (but it can't share it with other devices around, acting as a wireless modem), 4G (HSPA+) internet connection, which is not so fast as LTE networks or the fastest 3G connection type, using HSDPA, HSUPA and EDGE technologies. This device comes with two Micro SIM cards to be able to to use 2 different phone lines in the same phone. This device has two cameras, a 13.1 megapixels back side camera and a 2 megapixels front side camera. This cellphone can also film videos in Full HD 1920x1080 at 30 frames per second. This device also includes lots of useful features: auto-focus, flash, digital image stabilization, face detection shooting, geo tagging and HDR mode. This device also includes some interesting features like Bluetooth (4.0), GPS and NFC (Near Field Communication), and multiple sensors like Light Sensor, Proximity Sensor, Accelerometer and Compass. This phone features a big capacity 2500 mAh Li-Ion non-removable battery, which isn't too much for a phone like this. Alcatel says this phone has a talk time of 27 hs and a stand by time of 650 hours. An issue to take into consideration is that the Alcatel OneTouch Idol X+'s battery is not removable	so you can't change it when it begins to last shorter, although with its 2500 mAh you will probably discard this cellphone before it becomes an issue. 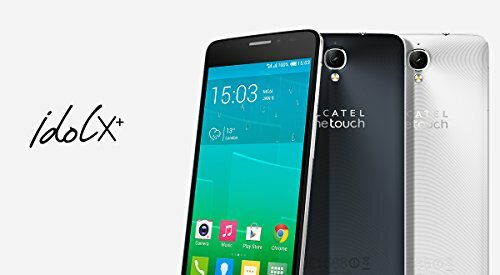 The Alcatel OneTouch Idol X+ is being sold for about 350 dollars, which is quite the same as other same level cellphones. This phone is probably very appropiate it doesn't matter whether you need a cellphone for work, want a device to play tons of games, are looking for a phone to mostly use social networks and internet browsing or you love taking photos.